Sweet Plantains is a staple dish in Haiti, mostly served as a side dish. Peel and cut the plantains diagonally in 1/2 inch slices. Heat oil in a large skillet over medium-high heat. 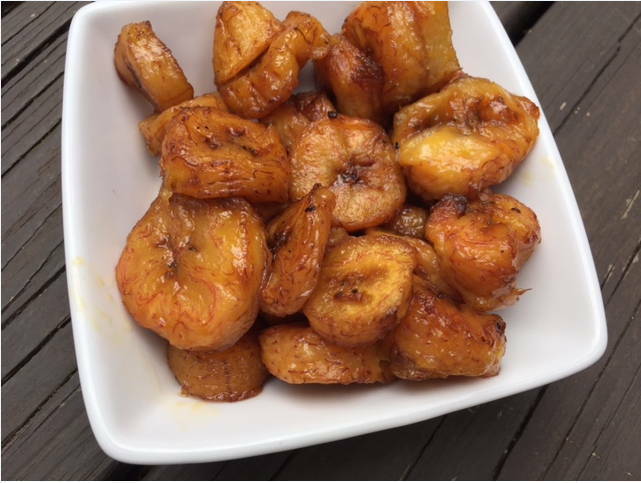 When the oil is really hot, reduce to medium low and fry the plantains until golden brown on both sides.